If you are having problems with your eyes, visiting an optician is the best place to start. Optometrists are highly trained to recognise abnormalities and conditions that could be causing your eye problems. They will prescribe and fit glasses and contact lenses, and, if necessary, they will refer you to a GP or a hospital eye clinic for further investigations. Are you Entitled to Free Eye Tests? If you are having problems with your eyes, visiting you optician is the best place to start. 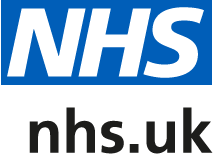 You can find your local opticians by visiting NHS Choices.